Curvature of the cervical spine. Coloured lateral X-ray of a human head and neck, showing the cervical spine with normal curvature. The front of the head is at left. 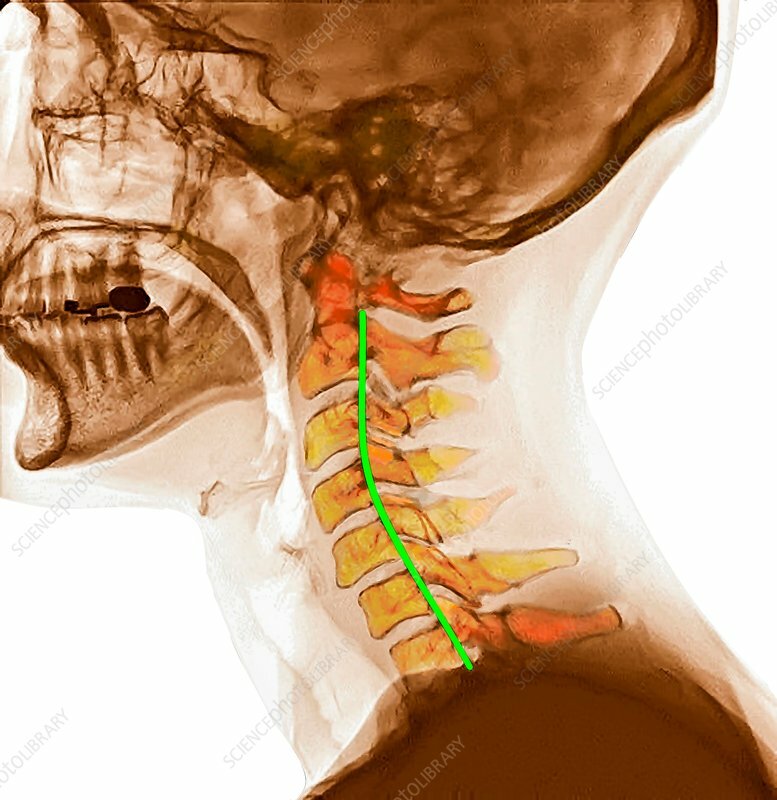 The spinal cord, enclosed by the vertebrae, is highlighted in green within the backbone. The normal inward neck curvature is called cervical lordosis.